Whenever you got a party or a gathering going on here in Dubai, they are bound to go on late into the night. Despite having a warm long summer day, the temperatures can take a dip and dampen the party mood. It is primarily for this reason that you should invest in a patio heater or hire one. Patio heaters are radiant heating appliances to generate thermal radiation for outdoor use. It consists of a burner atop a post that burns butane, propane, electricity, or liquefied petroleum gas (LPG). The flames are directed against a perforated metal screen. However, there are newer designs built to match different patio designs. Patio heaters unlike space heaters, which blow hot air, the patio heaters, on the other hand, radiate heat. Different manufacturers have different specifications for their heaters especially the area of coverage. When looking to rent a patio heater, the size will be dictated by the size of your patio. It is necessary to also invest in a wind protector especially if your areas experience winds speeds of 15 miles per hour or higher. Patio heaters have in-built safety features including a tilt shut-off valve, though it is of necessity that you read the manual to get an idea of how to operate it for the safety of your guests and family. As mentioned, patio heaters use different kinds of fuel, and you ought to consider the kind of fuel that sits well with your budget. If you have a gathering that will go well into the night, stockpile on the fuel. We offer only gas patio heaters as they are the best option in UAE. The best patio heaters are those that will serve you well without failing, leaving you and your guests in the cold. Inspect the patio heaters before accepting the delivery and ensure to light it before the delivery crew goes away. Be sure to get the necessary safety precautions to avoid a disaster during the cold times. It is tempting to turn the heater on full blast to keep the chill away; however, before you enforce your decision, here are actionable safety tips to consider. Keep the heater from flammable objects such as posters, curtains, et al. Test the working of your smoke alarms in case of an accident. 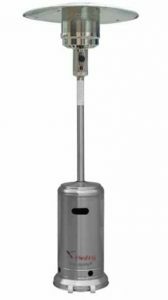 In conclusion, patio heaters are a necessary addition to your outdoor parties or working site. 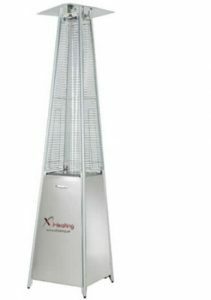 Ensure to get a recommendation from family, friends, and colleagues before deciding on a patio heater renting company.